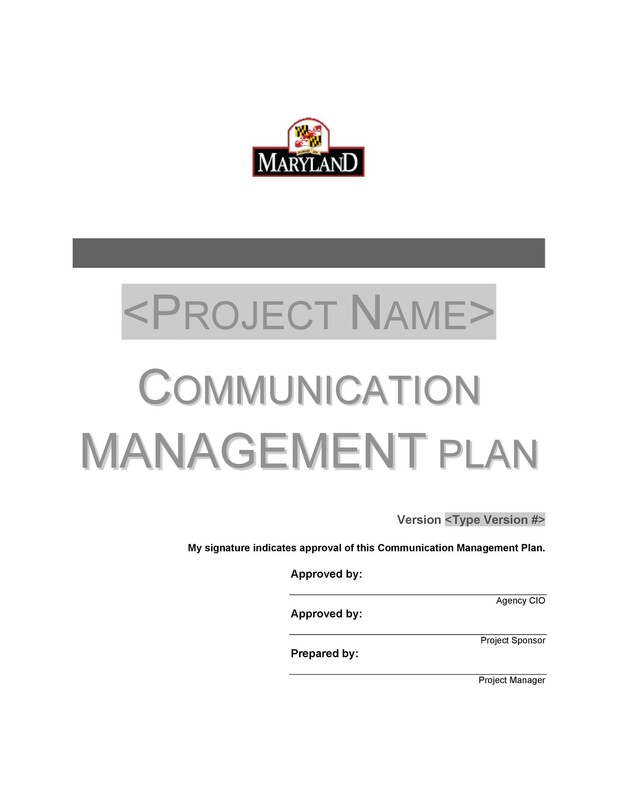 One of the most important components of project management is a communication plan. 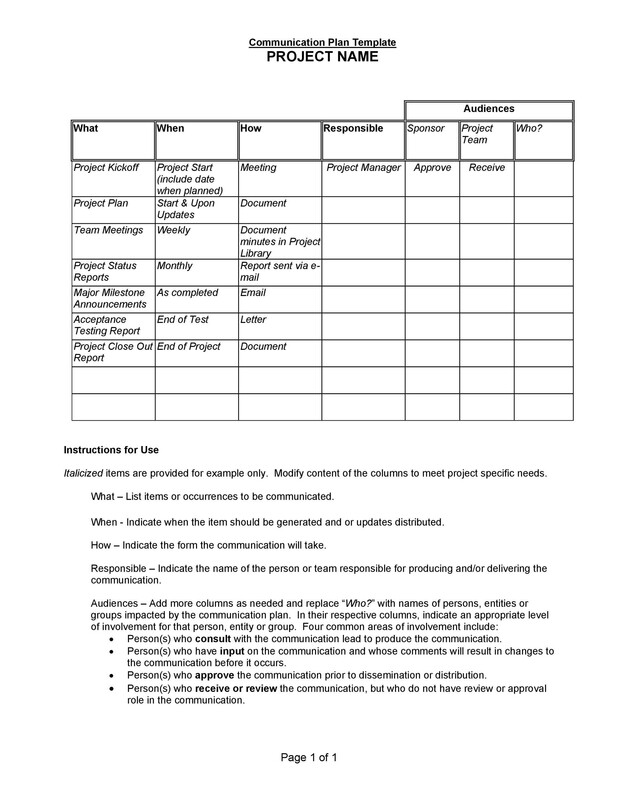 This is a document you can use to give information to your stakeholders equally. 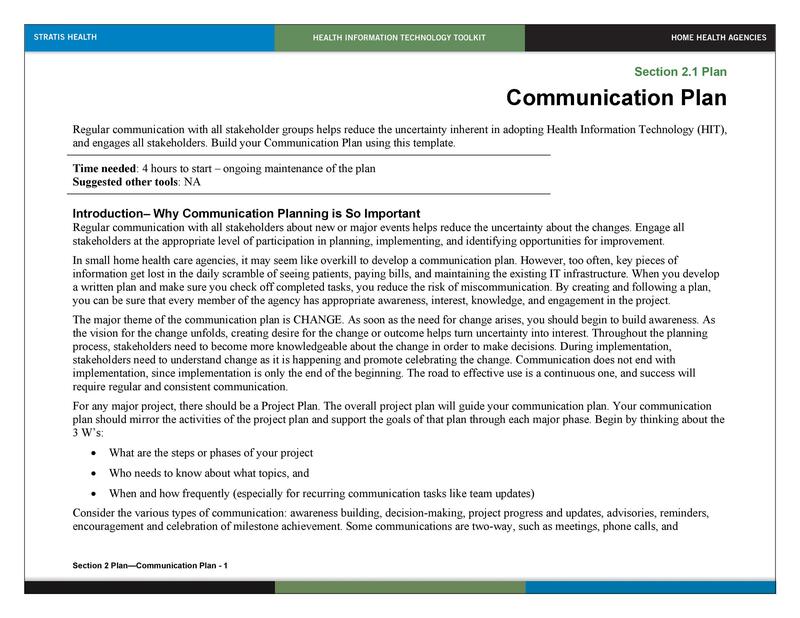 Through the plan, you can inform them of when, why, and how communication will occur. Communication is one of the most effective ways to deal with problems and risks. It’s also a great way to ensure that all tasks are completely done on time. 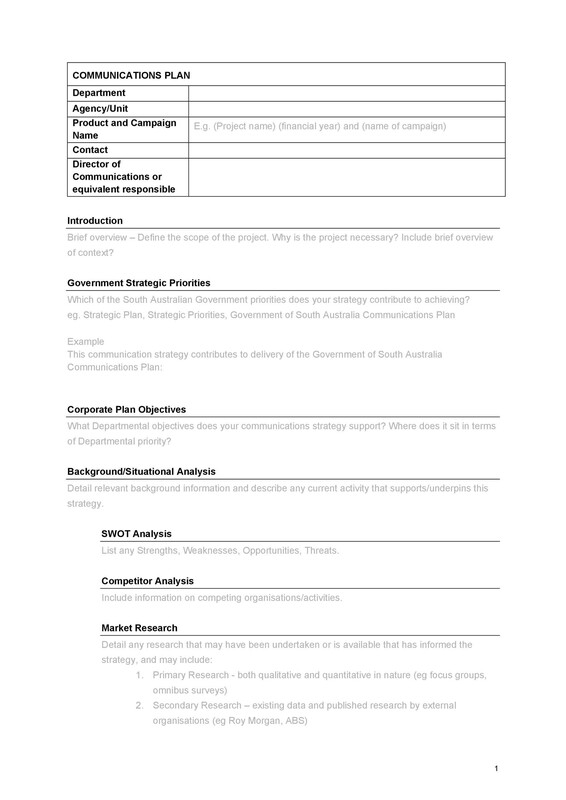 A short background for your communication plan template. The analysis of the stakeholders. Objectives that are clearly stated. Your strategies for going about the communication. Discussions with other departments and staff. 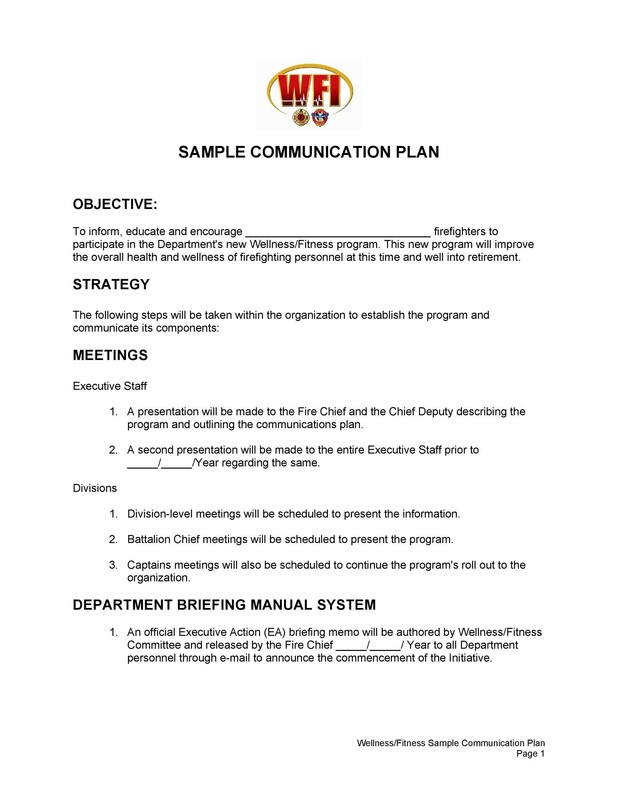 Once you have all the information you need, start on the sample communication plan. 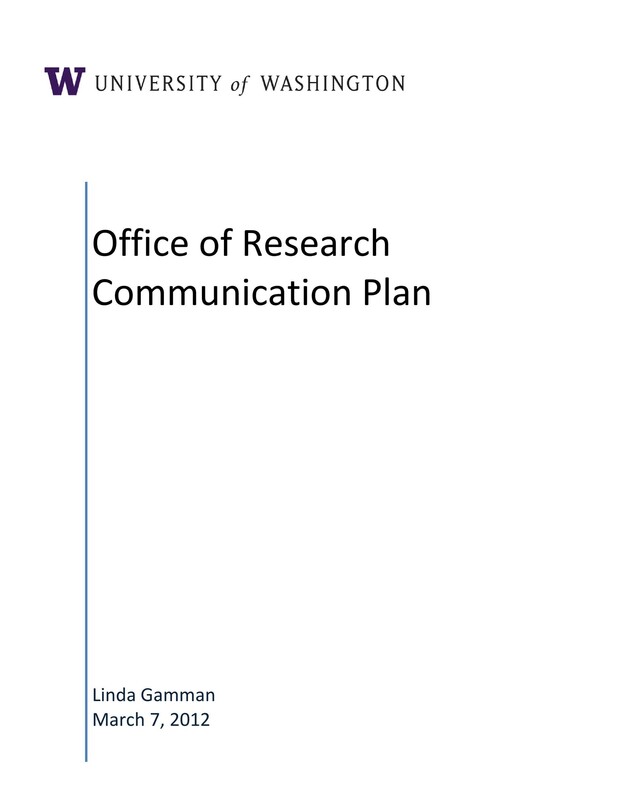 You need to perform an audit of research communication. You also have to assess your current communication processes. and how effective those activities are. Influence on consumers, media, and similar audiences. Related industries, media, and more. 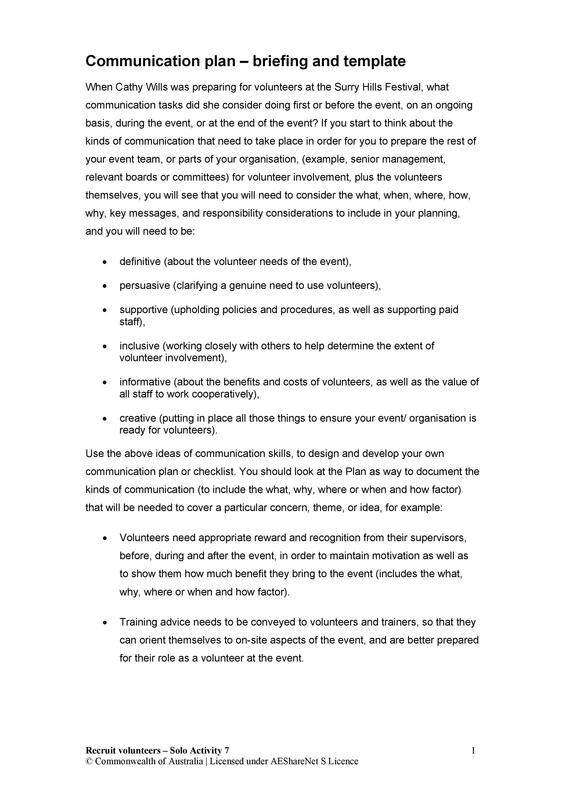 Your goals and objectives are also very important parts of the document. You need to consider a lot of things when defining these. Goals include products, services or programs you’ll use to achieve your objectives. You also need to identify which tools you’ll use. Include these so the readers will know how to use them to achieve your goals. Tools can be as simple as flyers and as complicated as websites. To get great ideas, try brainstorming with your staff. A timetable is also essential. 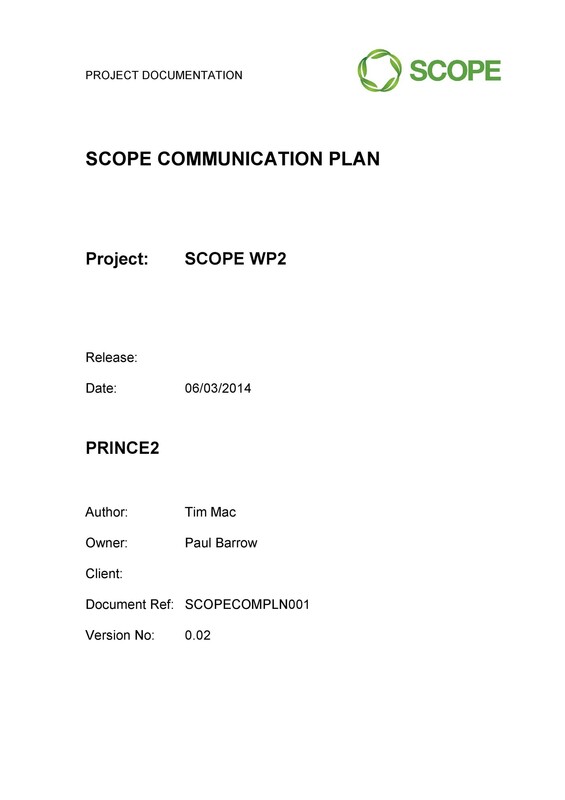 This is the next thing for you to include in your document. Create a timeline or a calendar grid one which will roughly outline when you will accomplish your projects. Separate your objectives into reasonable time periods. An annual report or a year-end summary. 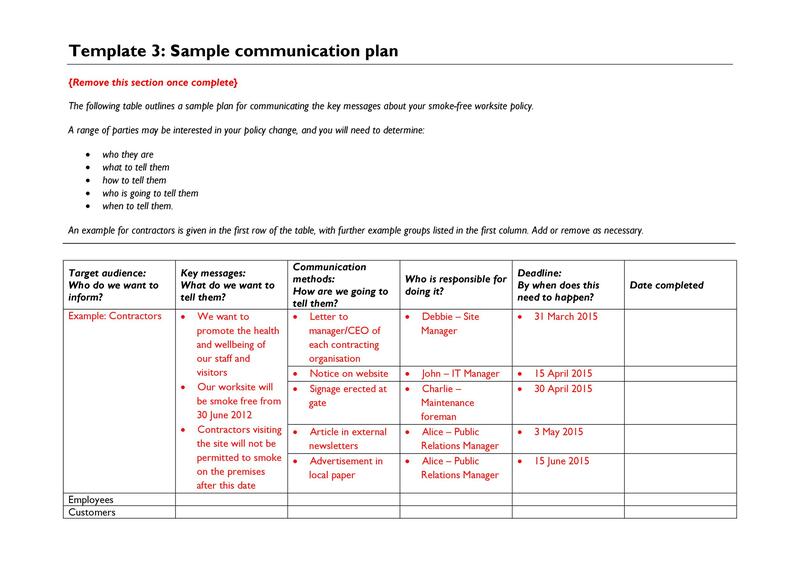 Developing a communication plan example requires much effort. 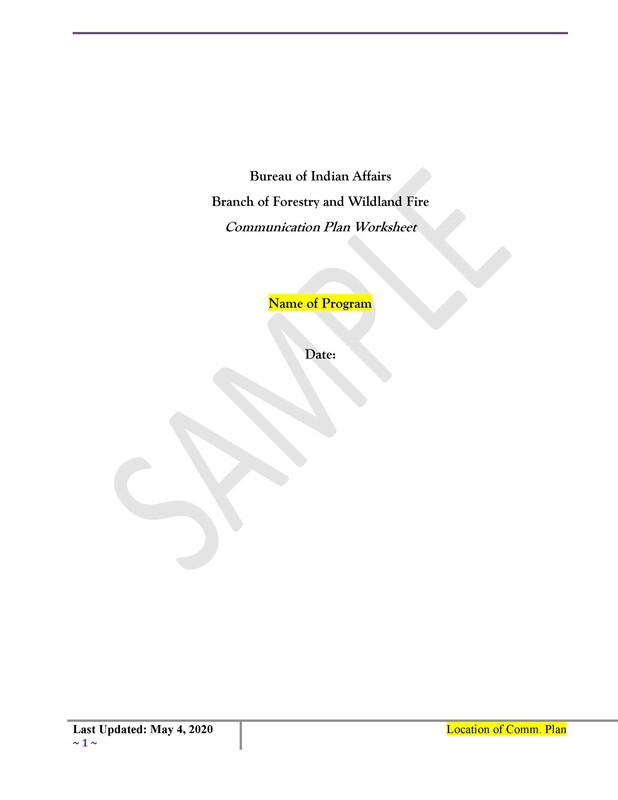 If it’s your first time to develop such a document, it’s best to plan ahead. 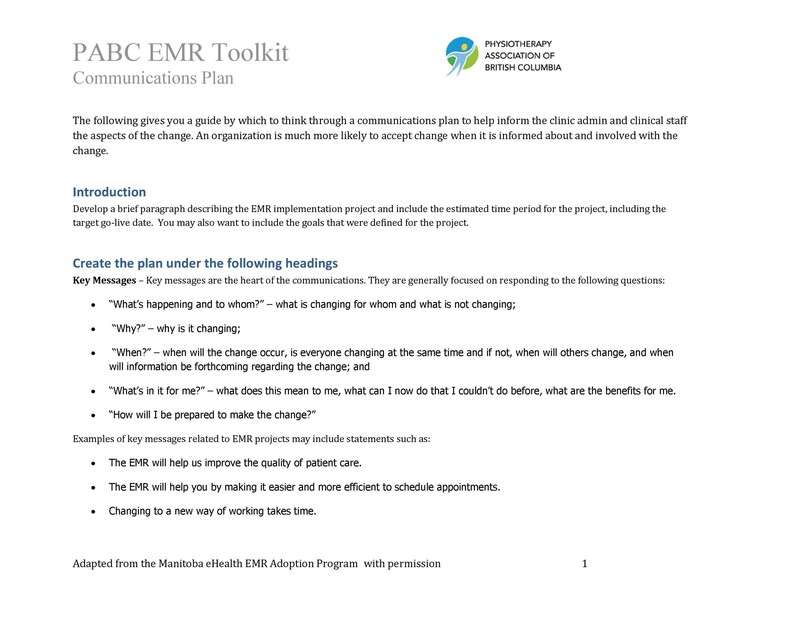 Once you’ve finalized your plan, it should make communications a lot smoother. This will definitely improve processes within your organization. 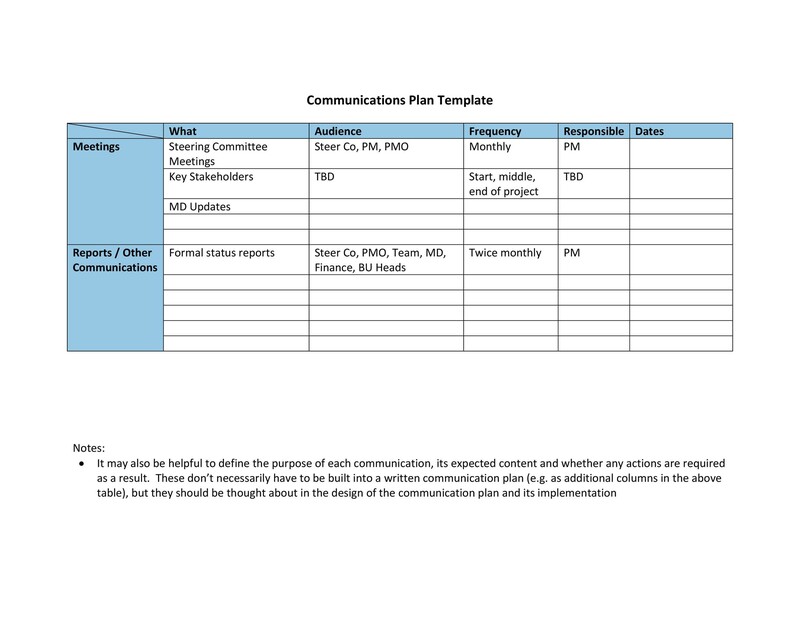 There are different types of templates for communication plans. 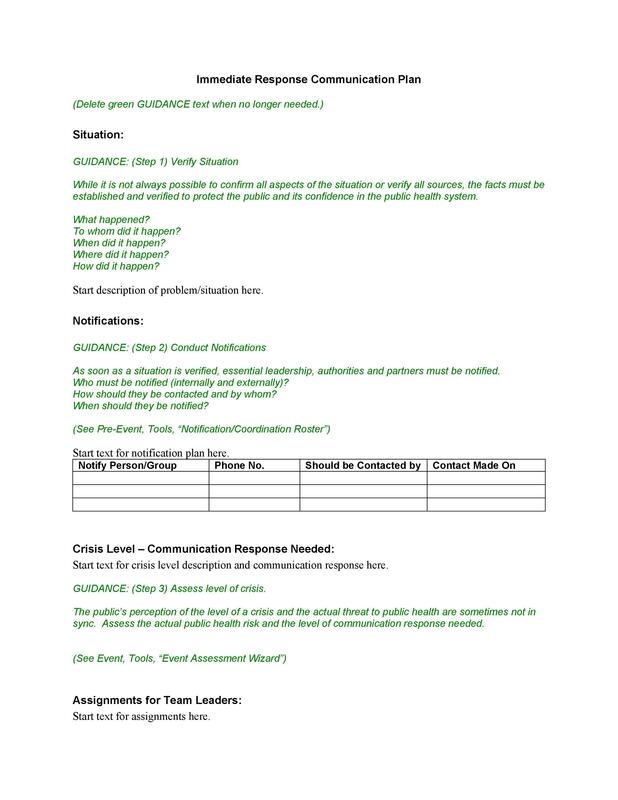 For instance, you can create a crisis communication plan template. Use it to establish what you need to do during crises. 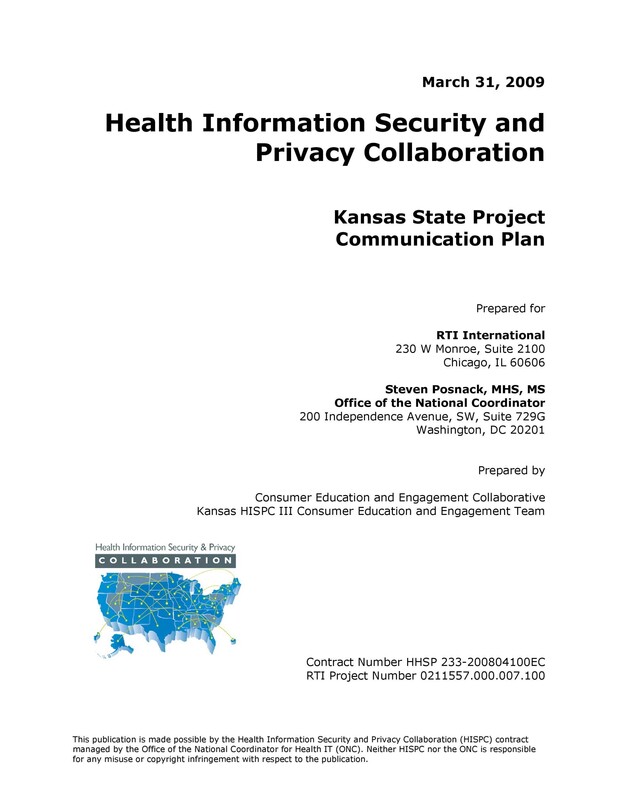 This plan will provide a layout of how people will convey information with each other. 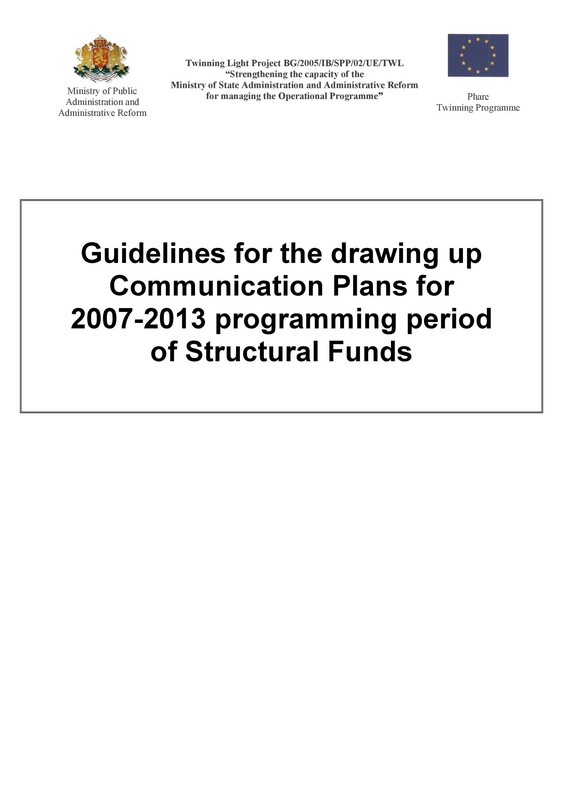 Such documents typically include methodology, frequency, and other specifics. It may also include which type of communication to use, whether formal or not. An efficient document will raise awareness. Your employees will be able to know how and when they’re expected to exchange information. Such plans are really important. The head of the chain of communication sets the tone for the whole interaction. The head can always maintain control over the whole communication process. 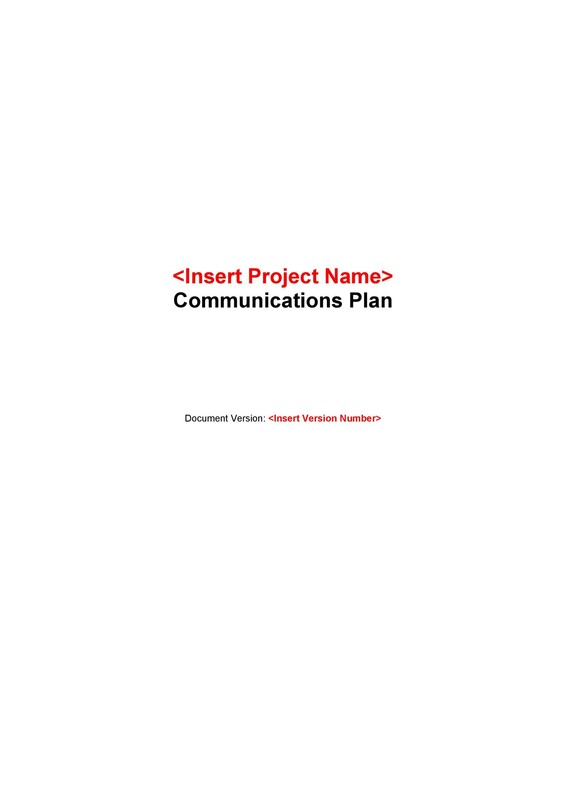 A well-made sample communication plan is the backbone of a successful project. Although it takes a lot of effort to create one, it’s not an impossible task. 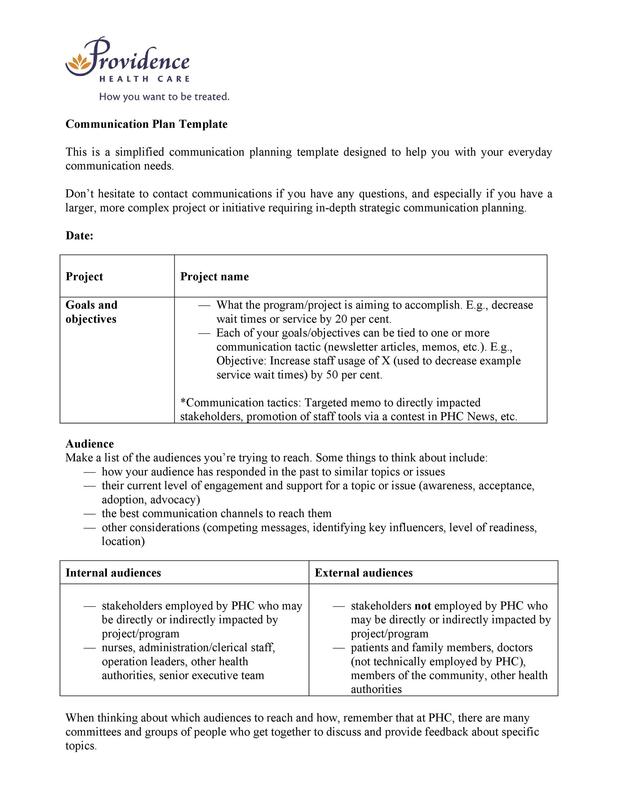 If you’re planning to start a project, you also need a plan for communication. Communication is important in any organization. For instance, you may have a client who wants to talk to one of your team members. This usually happens when the clients have technical questions. This can also work the other way around. One of your employees might need to contact a client for one reason or another. 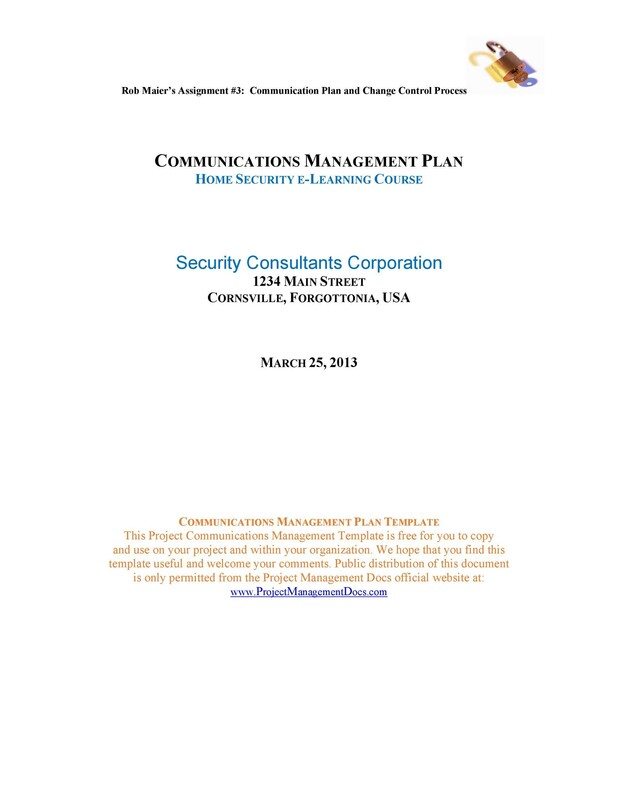 Without a communication plan, there’s no easy way to resolve these situations. 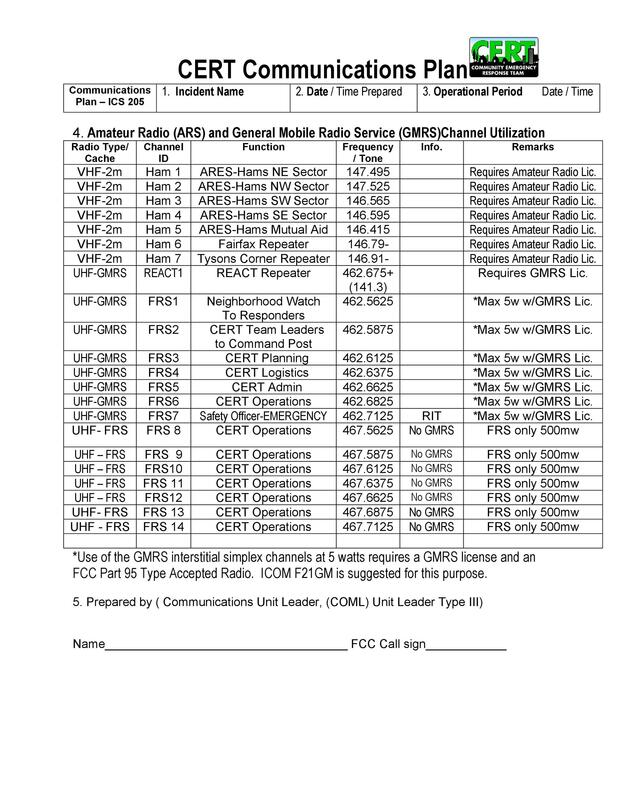 Communication plans can help minimize misunderstandings and confusion. It will ensure that everyone understands how communication processes work. Your employees will know exactly who to communicate with regarding specific issues. 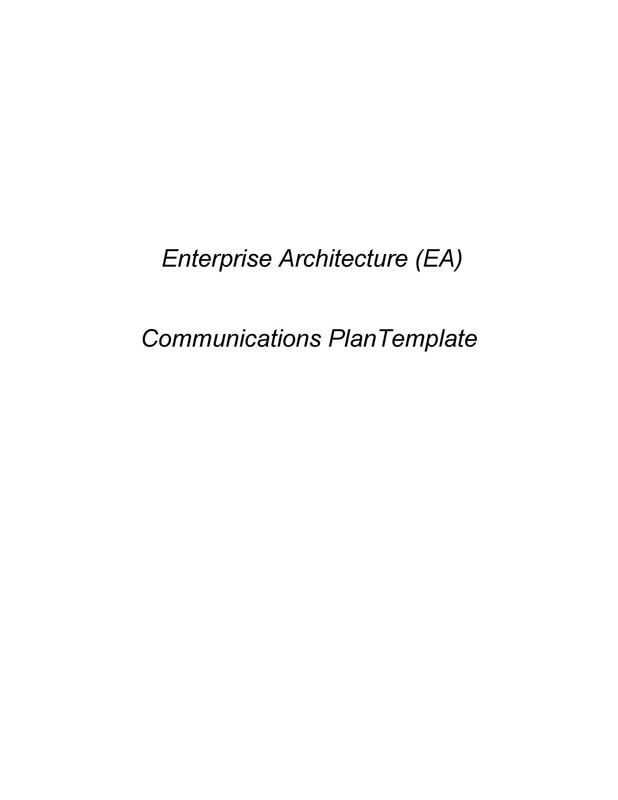 A well-made plan should also have a failsafe. Assign a person who will serve as the fallback contact. 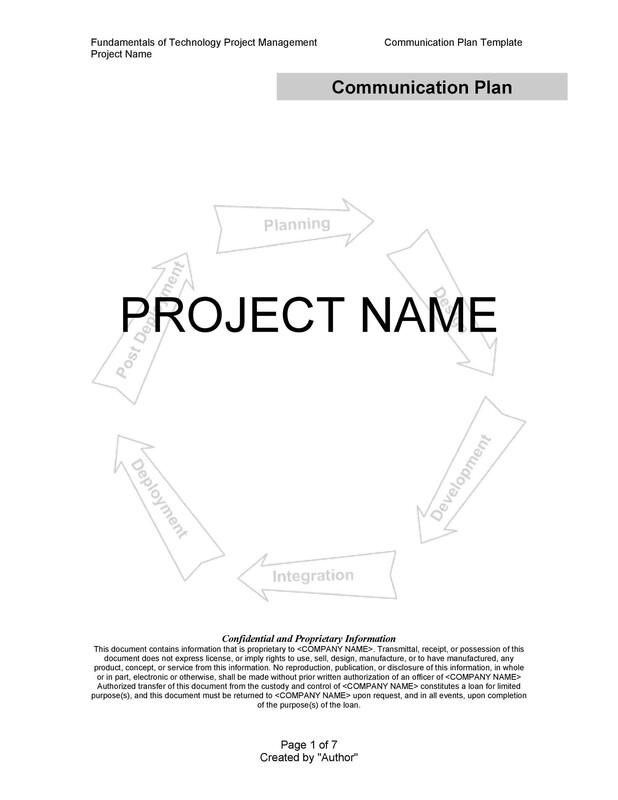 There may be times when the main person, usually the project manager, isn’t available. With a failsafe, the chain of communication won’t have to end. It’s frustrating for anyone to approach someone with an issue without getting results. There’s nothing worse than hearing the words, “I don’t know” from employees or coworkers. 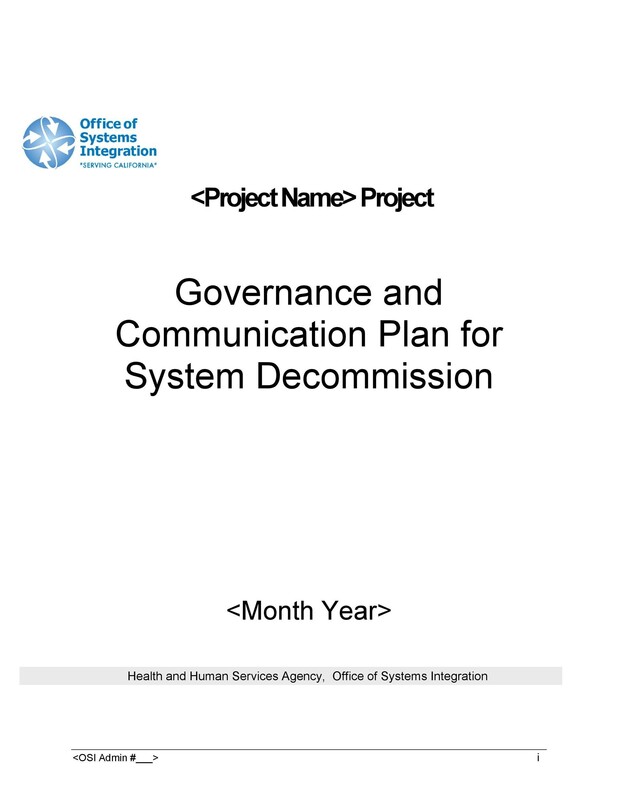 Fortunately, this won’t be an issue if you have a good communication plan one that outlines how the communication process should work. The plan would state who should receive messages. Also, it states what type of messages they should receive. This creates an environment where everyone knows who to get solutions from. It also ensures that the ones in charge are always armed with the right information. They need to stay informed so that they’re always ready to give solutions or make smart decisions. 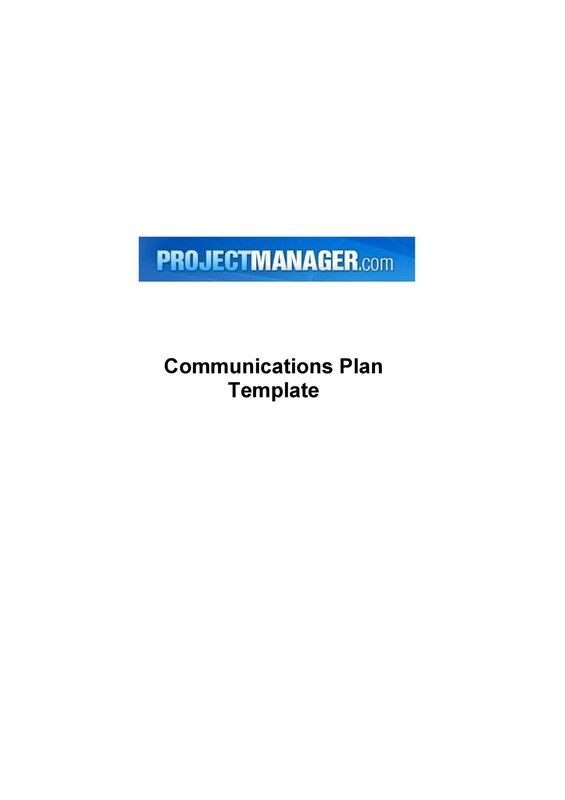 When you have a well-made communication plan, you can manage communications better. Nothing’s worse than having poor communication in an organization. 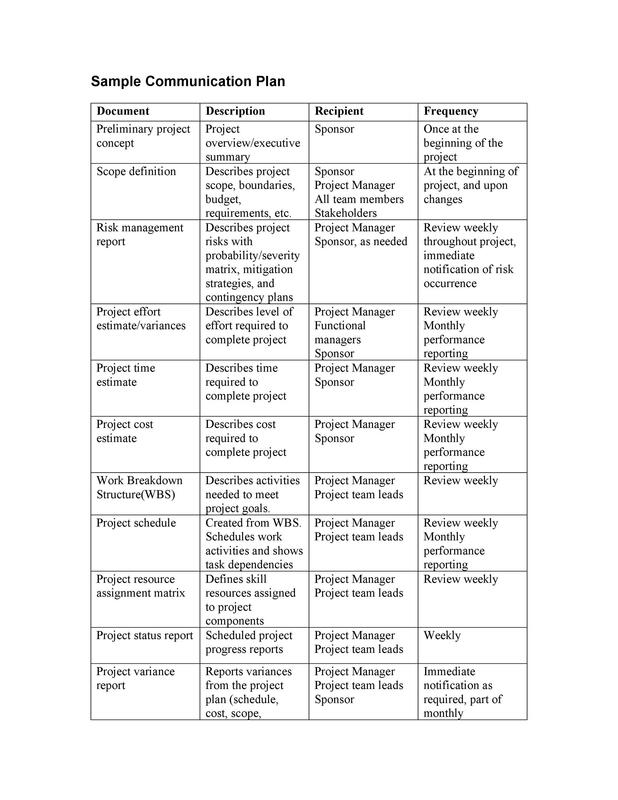 This is a common cause of problems in projects or companies. For instance, an employee might send a message to the wrong person. He might use language which you use in a project the person isn’t involved in. This will lead to confusion and poor communication. If this keeps on happening, you might start experiencing a lot of problems those which require time and effort to solve. 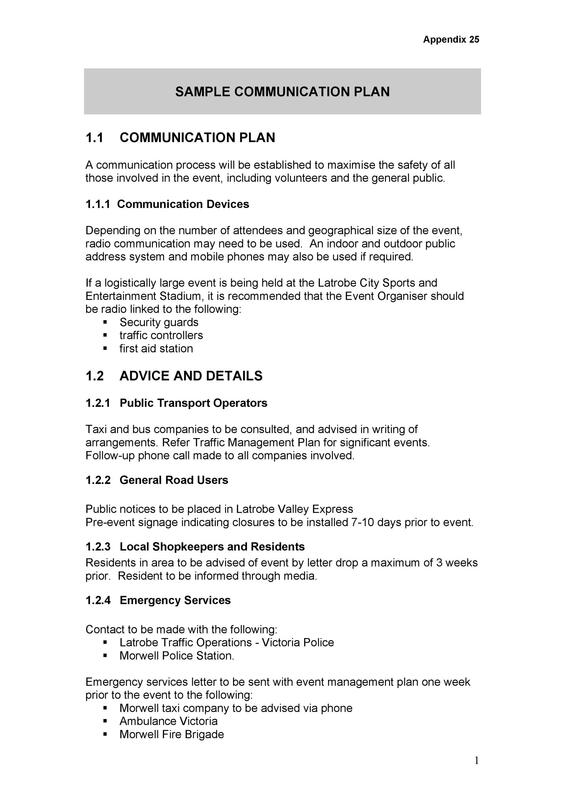 Fortunately, you can avoid all this through a communication plan. 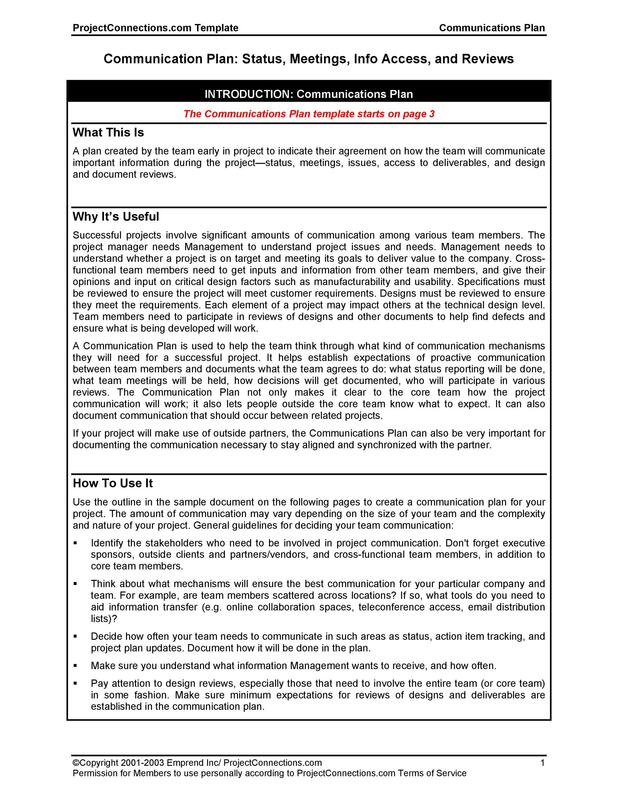 Superior communication plan templates can help your project or your organization. When you create and follow such a plan, it will keep everyone well-informed. Since everyone understands the communication processes, they’ll be able to work together effectively. Everyone will have a clear picture of the whole chain of communication. 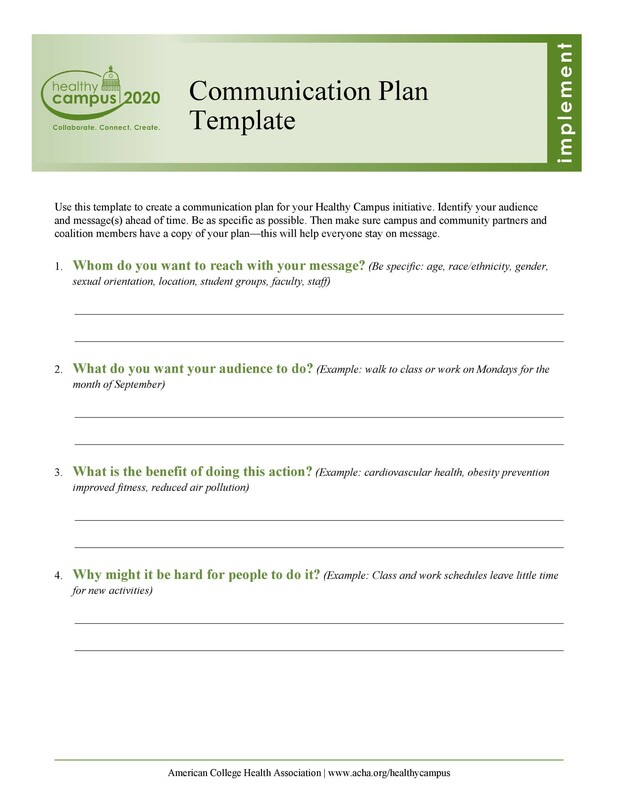 A communication plan example is sort of a roadmap for getting your message across. 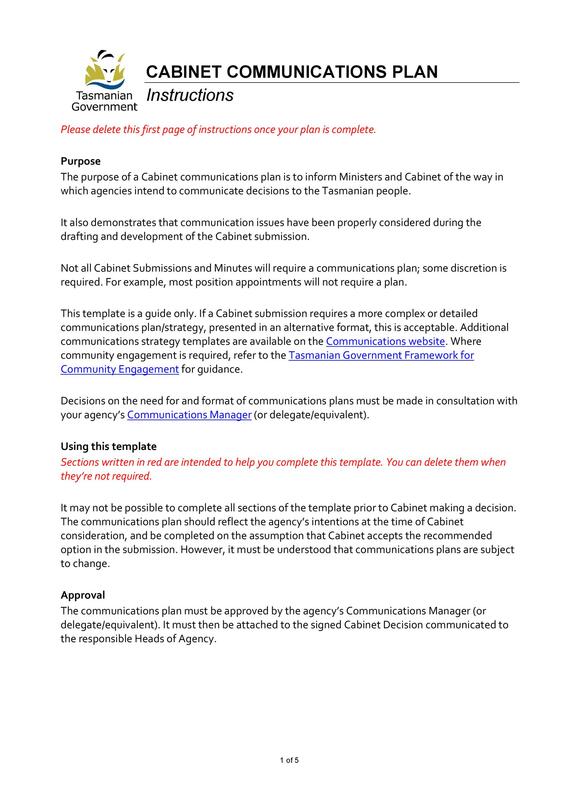 The document is an important tool that different departments can use. 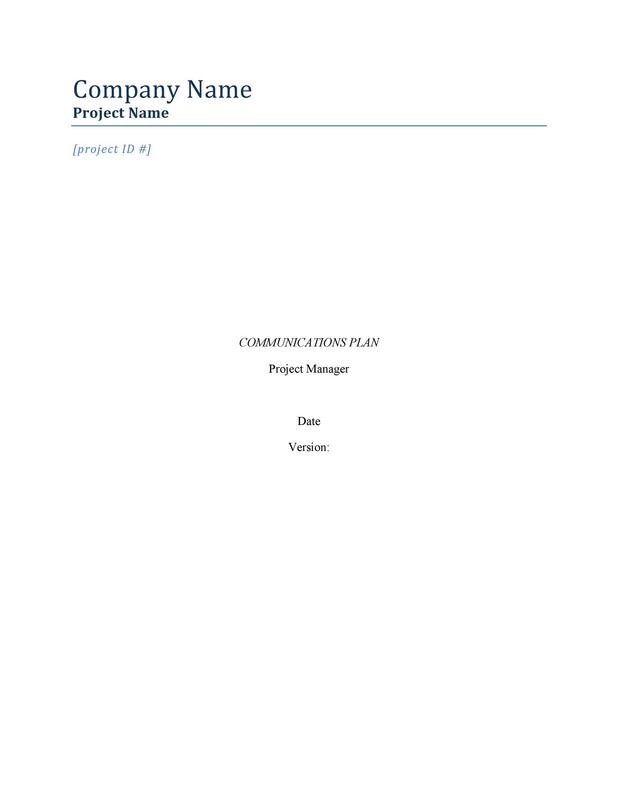 When you spend time and effort in making the document, it will definitely make a huge impact. 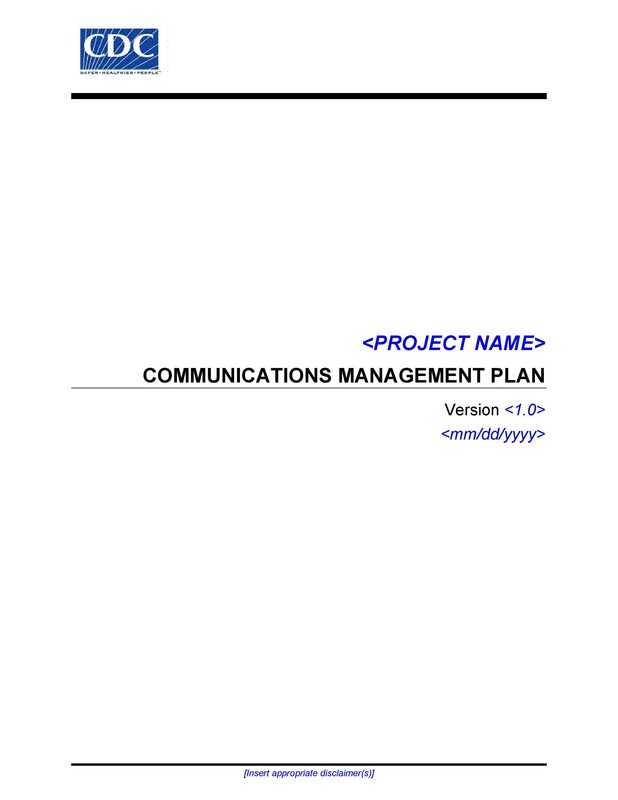 First off, you should know the reason for your communication plan. What changes do you want to see as a result of better communication? It’s important to think of this before you start drafting your document. The next thing you need to think about is who you should communicate with. 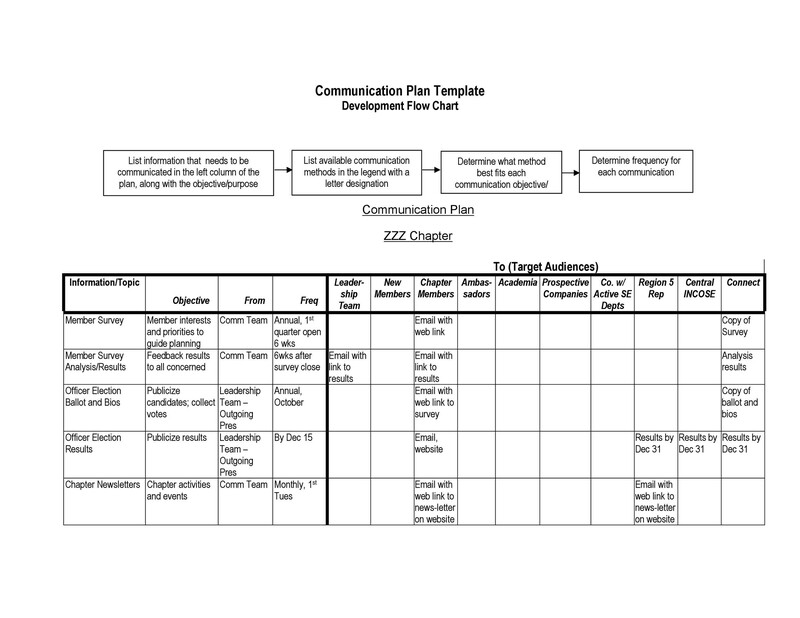 Make a list of all the potential audiences to include in your plan. Once you’ve done that, think about the audiences in your list. What do those audiences currently think about your topic? 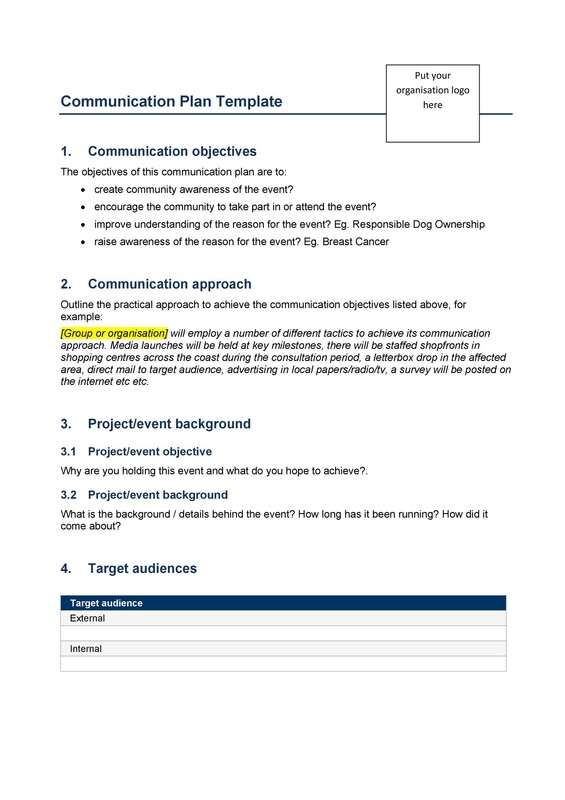 Write down everything you need to know about your audiences. Also, think about what you want your audiences to know or think. All of these will come as a result of communication. 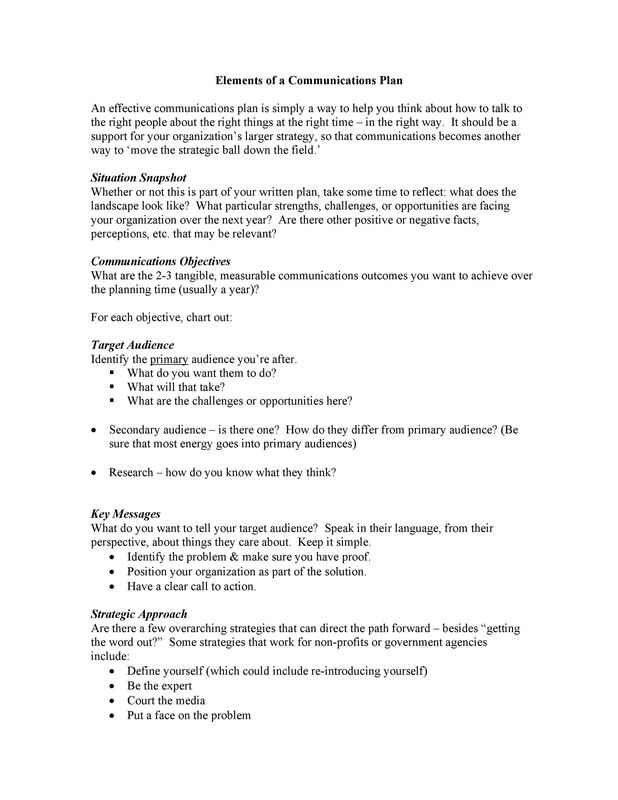 Write down the messages for each of your audiences. You may use the same message for all of them. Otherwise, you may also use different messages to address them. When creating your messages, keep in mind the intention of your communication. Then, think about when you will impart your messages. The timing is extremely important. It will determine how you’ll communicate with your audiences. After this, also decide how you will impart your messages. For instance, you’re trying to create awareness. In this case, a written communication may be enough to convey your message. But if you have a controversial message, you may have to consider a more interactive approach. Think about how you’ll prepare your message and who will deliver it. Also, consider the resources you’ll need. If you want to enable feedback, how will you go about it? You may also need to think about how you’ll know if your audience received your communication. Keep in mind that communication is an ongoing process. This means that your plan should coincide with your activities. It’s extremely important to know your audiences. You have to understand their concerns, priorities, and environments. In doing this, you’ll have a better chance of conveying your messages to them. Organize your information. You can do this by creating a table with columns. Think of creative ways to access your audience. If you have online audiences, communicate with them online. If you work with your audiences, communicate with them in person. Think about the needs of your audiences. This will help you identify your messages and develop them. Consider why you need to communicate. Then when you express your reasons, be very clear about them. This will be very important when you’re making your plan. 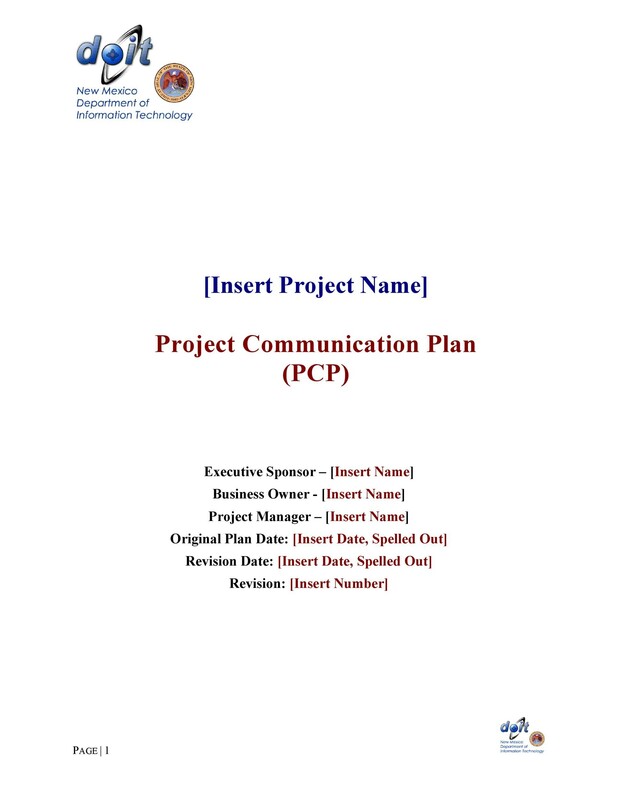 If you’re not sure of your information, don’t add it to your document. If it’s important, clarify the information first. Never include information which you can’t support with facts. 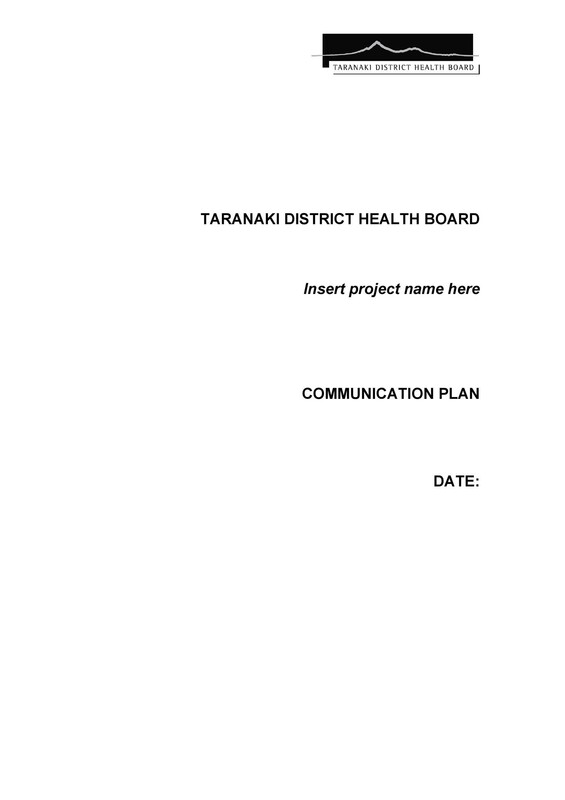 Be honest and candid when creating your document. Also, don’t make the document too long. 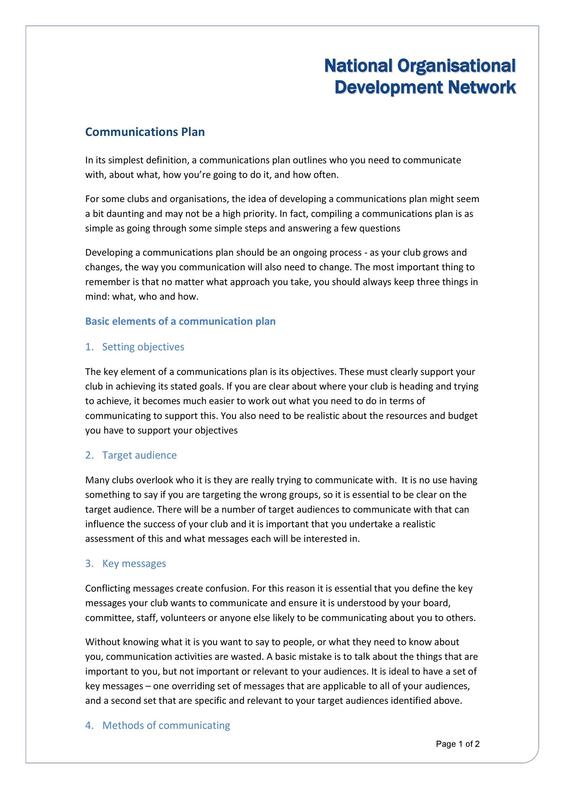 Doing this might reduce the chance that your audiences will read the plan all the way to the end.